The Scout Movement has had a long and illustrious history of creating a better world. Scouting in Singapore celebrates its 100th Anniversary in the year 2010, a milestone achievement in any organisation's history, made all the more significant given the youth of our modern nation. 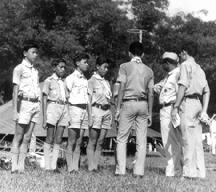 Scouting was first introduced in Singapore in 1908 but was officially inaugurated in 1910. 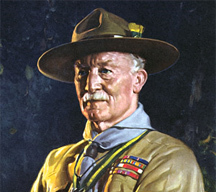 Frank Cooper Sands from Nottingham, UK, spent the next 40 years as the “Father of Malayan Scouting”. SSA was registered as a member of World Organisation of the Scout Movement on 20 August 1966.